In today’s lesson we are going to look at scale that Jimmy Page used to get some of his signature blistering solos. 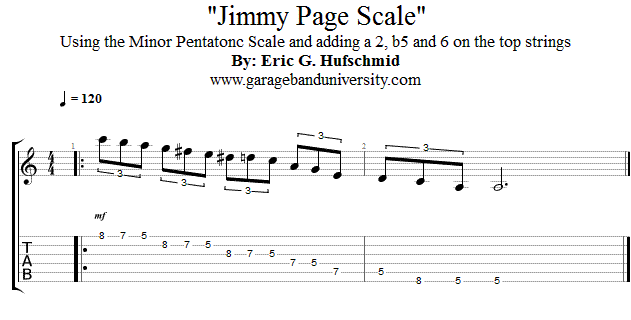 This is scale is basically a minor pentatonic but with an added minor second, major sixth, and blue note. It forms a neat symmetrical pattern on the top three strings making is very easy to visualize and use. The solo in “Heartbreaker” most famously uses this scale.